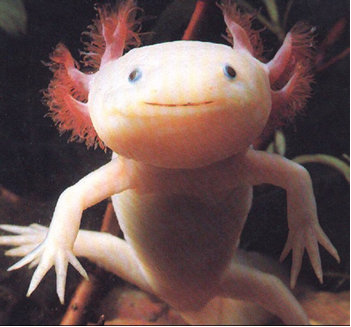 Episode 36: That’s Axolotl, Folks! | Ask Dr. White Cosby! Home › Ask Dr. White Bill Cosby › Episode 36: That’s Axolotl, Folks! Axolotls. That’s the long and the short of it. Enjoy. There are questions involved, too. Advice and such. Is college a worthy investment? Should I be worried that my bed-bug ridden friend wants to visit? What steps should one take to prepare for retirement? How do I stop my father from eating spoiled food? Plus, movie review. Godzilla. So that’s exciting. Not as exciting as axolotls, mind you. But a bit exciting. Well, have fun. Take a listen. Back next time. Bye bye.